Before the deployment, everything is fine. But when deploy the project to tomcat server, the NoClassDefFoundError appears. In my conclusion, simply put all JAR files to WEB-INF/lib/, without any other adjustments, your NoClassDefFoundError will be gone. 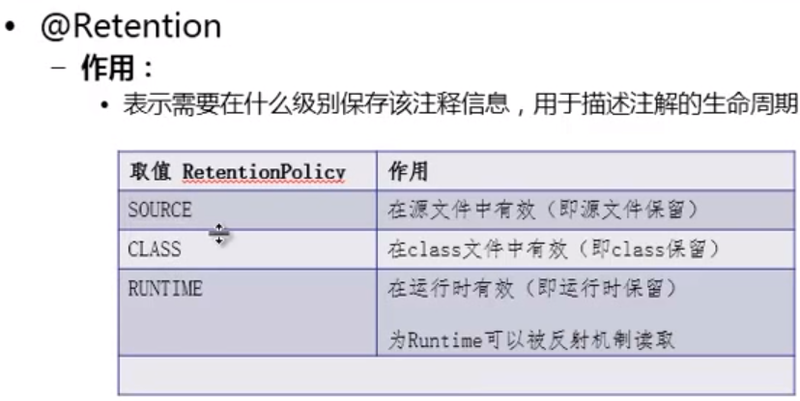 If with high calling frequency, we need to refactor to non-static function, parse with different object of the Class. File.pathSeparator: separate file path in PATH environment vairable, ";"
Filters where the filter-mapping element contains a url-pattern that matches the request are added to the chain in the order they appear in the web.xml deployment descriptor. Filters where the filter-mapping element contains a servlet-name that matches the request are added to the chain after the filters that match a URL pattern. The last item in the chain is always the originally requested resource. In your filter class, use the FilterChain.doFilter() method to invoke the next item in the chain. When using @interface to declare an annotation, it inherited java.lang.annotation.Annotation interface. 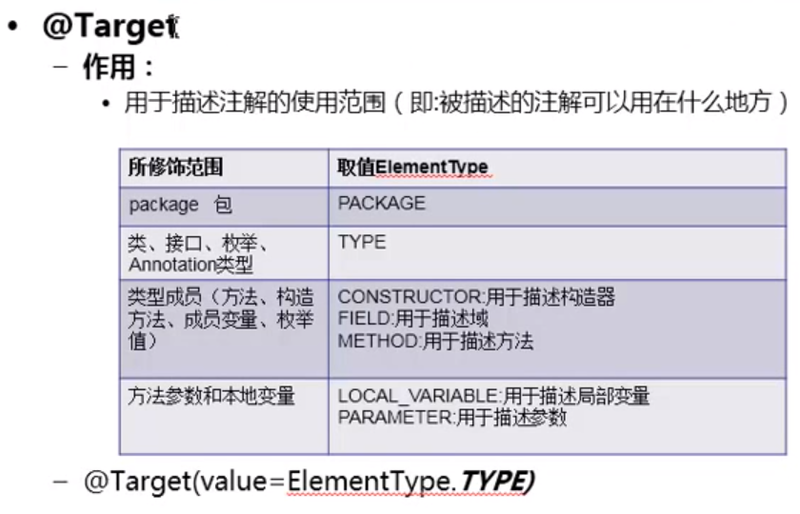 if there is only one parameter, normally it's name is "value"
Normally we use "", or 0 to be default value, we also use -1 to assign the meaning of not exist. Specify the annotation apply target, can be package, class, method, variables etc. 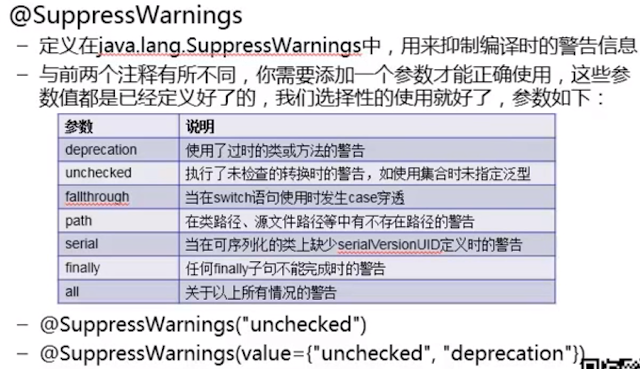 * to ensure that the same names work across multiple compilers. WEB-INF represents web app inner files, not expose to outside. To prevent some jsp/html file on the server directly accessed by browsers from URL, we need to put all request sensitive jsp file under WEB-INF folder. Put other jsp/html file outside WEB-INF, so browsers can directly access those files by URL. "Validation Code: <input type='text' name='ValidateCode'/>"
+"<a href='#' rel='nofollow' title='Refresh Image' onclick=\"document.getElementById('ValidateCodeImg').src = '"+request.getContextPath()+"/ValidateCode? '+Date.now();return false;\">"
Each session object has an id, using "JSESSIONID" in cookie to pass session id between client and server. This cookie will be destroyed immediately when browser closed. 1: start with "/" ends with "/*"
getRequestURL //full URL in type of StringBuffer: "http://localhost:8080/webapp/servlet1"
getRequestURI //full URL in type of String: "/webapp/servlet1"
getQueryString //all parameters string "name=abc&email=abc@gvace.com"
getLocalPort //return server port "8080"
Right click on the record, "Follow TCP Stream"
We cannot use both method for one response, because an output will be auto closed, so the other output will not go through. when response.flush() called, print writer committed all buffer to client, it can still push more content to client, but no forward contents will be affected. And before flush(), if we call request.getRequestDispatcher(url).forward(req,res) the printed buffer will not be affect, client will only see the forwarded contents.